Filed teeth agriculture wood pruning saw Taiwan - Wise Center Precision Appliance Co., Ltd. Wise Center Precision Appliance Co., Ltd. is Taiwan’s leading manufacturer of 31119, Taiwan Filed teeth agriculture wood pruning saw, Filed teeth agriculture wood pruning saw supplier. We believe Taiwan Filed teeth agriculture wood pruning saw is the best option for you. If you require smaller volumes of a wide range of Taiwan Filed teeth agriculture wood pruning saw or immediate production needs, please contact Wise Center Precision Appliance Co., Ltd.. The saw is a cutting tool consist of a tough blade, sword, wire, or chain with a hard toothed edge, there is two teeth and three teeth type, the three teeth is most effort-saving when sawing the wood. It is usually cut through wood. The cut is made by placing the toothed edge against the material and moving it forcefully forth and less forcefully back or continuously forward. The force can be applied by hand or powered. Dear Sir/Madam, I’m interested in Taiwan Filed teeth agriculture wood pruning saw, 31119 that your company provides. Would you kindly contact me with your detailed product information and FOB price? Thanks. We specialize in manufacturing Pruners, Garden Tool, Loppers for many years in Taiwan. We wish to create win-win relationships throughout the supply chain. 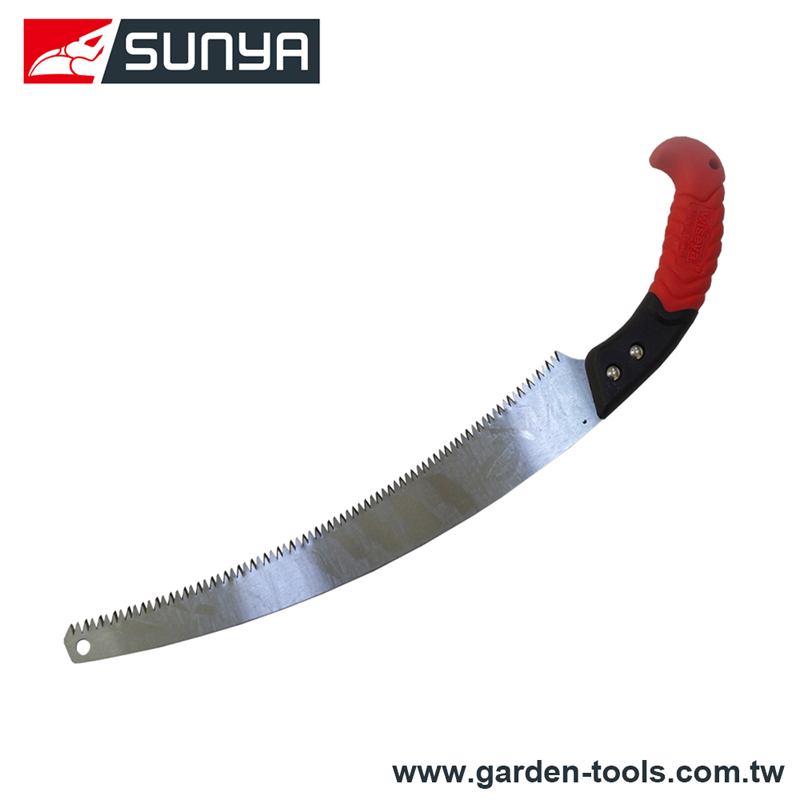 It is our pleasure to service your Taiwan Filed teeth agriculture wood pruning saw needs. At Wise Center Precision Appliance Co., Ltd., you get performance and reliability. Contact with us immediately! !